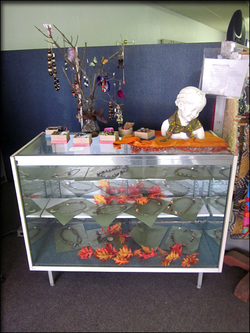 The shop is currently closed pending the move to our new location at 318 Woodworth Avenue. 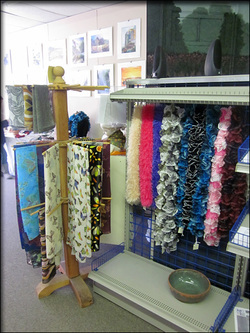 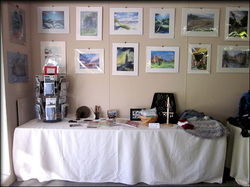 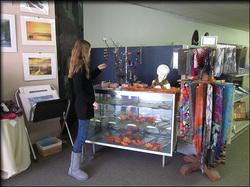 We have handmade and handknit scarves and capelets, jewelry, prints, cards, hand-bound books, and much more. 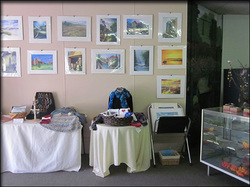 A portion of all sales go to support the Art Center.